Once upon a time, most little children in church or Sunday School learned this song – often lisping the simple tune with hand motions. 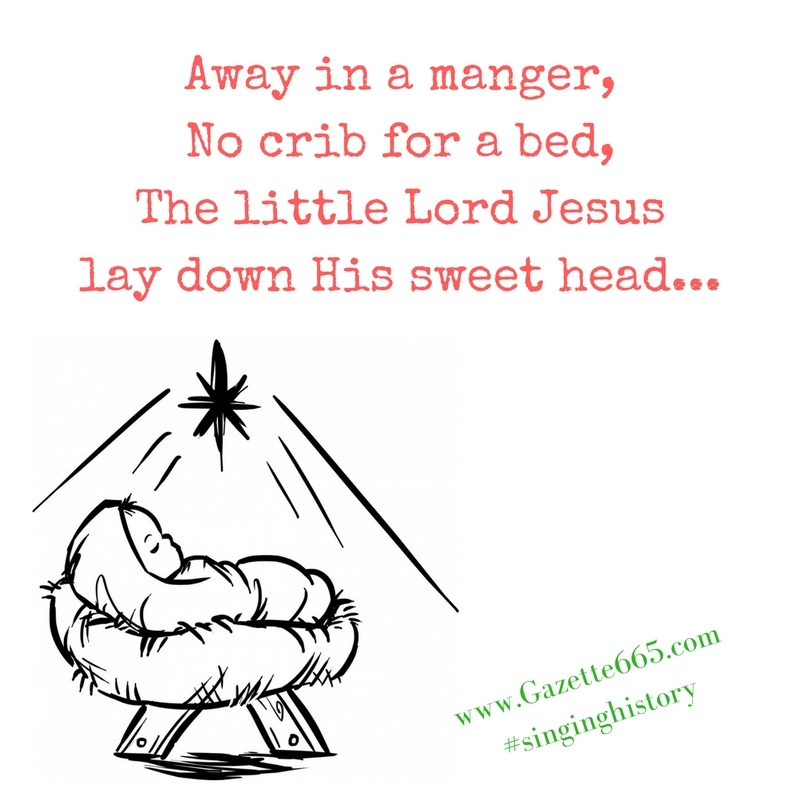 It’s a sweet song about the historical event of Baby Jesus’s arrival and manger bed, but there’s a big myth about the origins about the lyrics. “Away In A Manger” – the featured song of the day has it’s own unique and controversial history. Who knew a child’s song could have so much interesting information in it’s creation and background? Baby Jesus in His manger bed is a common feature in nativity scenes and Christmas stories. It’s mentioned a couple times in the Gospel of Luke. 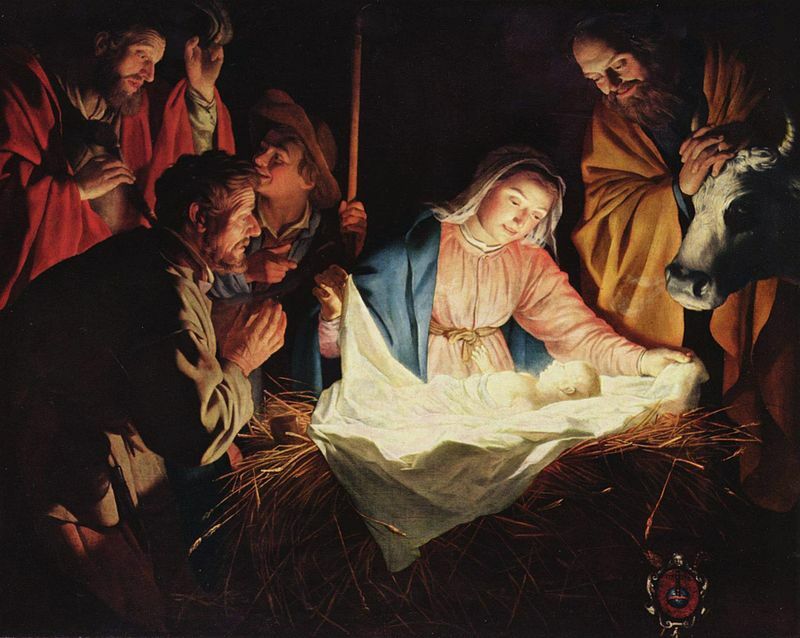 God of the Universe in a dirty manger in a common, lowly stable – what a humbling thought. Legend and history battle for the origins of this song. Interestingly, historians haven’t found the lyrics in Martin Luther’s papers. Most likely, the publishers invented the Luther authorship to make the song more popular among Protestant Christian denominations. It certainly worked (but lying isn’t right!). Never-mind the authorship controversy – it’s still a lovely little song. Reflect on the wonder of Christ’s coming as you enjoy this song. Teach it to your kids or remember fondly singing it as a child. P.S. Did you have a favorite Christmas song when you were a kid?